An increasing demand for the scales and meat of the endangered pangolin in China and Vietnam is pushing impoverished farmers in India’s north-east into the illegal trade, a new report has found. Pangolins are often recognized as the world’s most highly-trafficked mammal and their body parts can fetch large sums of money — the poorest hunters in India’s Assam state can earn a full year’s salary for a single pangolin, researchers from World Animal Protection (WAP) and the University of Oxford said Monday, following a two-year investigation. 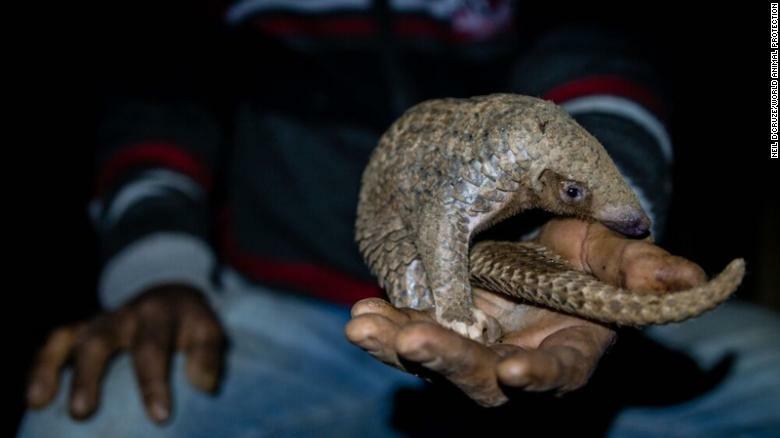 Of 141 people interviewed in 31 villages over a period of 10 months, “all but two of the hunters confirmed hunting pangolins for both personal and commercial use,” the report said. “Scales from just one pangolin can offer a life-changing sum of money for people in these communities. But it’s in no way sustainable and the numbers of pangolins in the wild are beginning to plummet,” David Macdonald, professor of wildlife conservation at Oxford University, said in a press release.